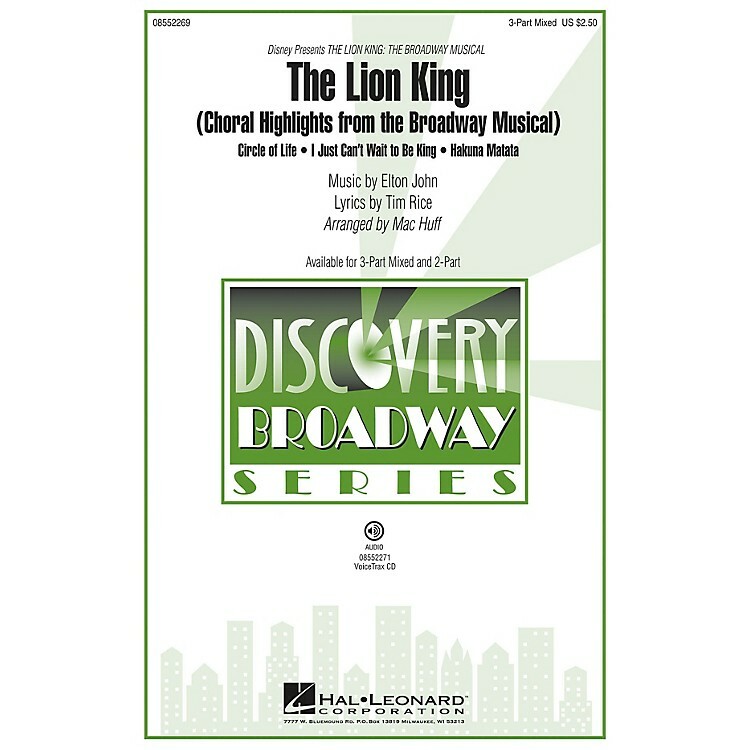 Three top songs from The Lion King Broadway are combined in this superb Discovery Series 5-minute mini-medley for young choirs! An adventure into another world of African rhythms and fantastic musical sounds, songs include: Circle of Life, Hakuna Matata, I Just Can't Wait To Be King. Discovery Level 2. Available separately: 3-Part Mixed, 2-Part, VoiceTrax CD. Duration: ca. 5:00.